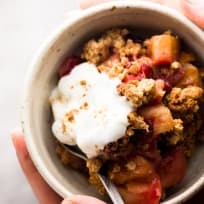 Enjoy a quick apple crisp entirely made from scratch - the best dessert you can have during fall! 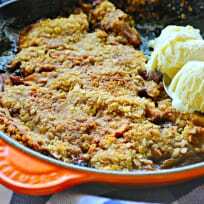 Serve warm with vanilla ice cream for an extra treat. 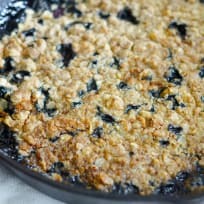 Blueberry mango crisp is a small toaster oven dessert bursting with sweet-tart summertime flavor. Don’t forget the ice cream! 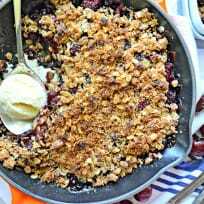 Sweet Blueberry Crisp with the punch of lime is the perfect dessert for any party. Serve warm with a spoonful of homemade whipped cream!